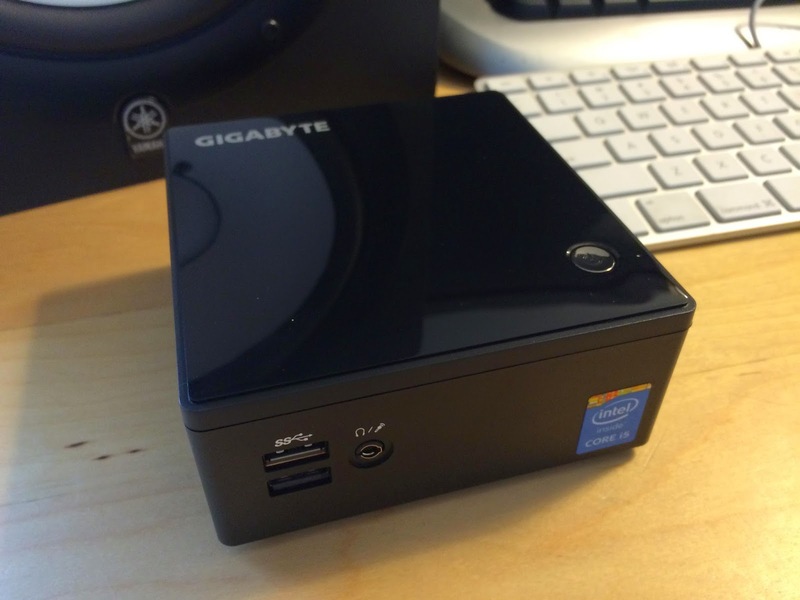 We got this little unit for testing a few months back, but kernel support was not in OS X. As of OS X 10.10.3, Broadwell CPU and graphics are now supported. MacMan's addition of CPU support and IGPU injection using the new Chimera 4.1 has allowed the Gigabyte Broadwell BRIX to boot perfectly and without any bootloader configuration. The only issue with this little box is the m.2 slot Intel BT/WIFI card, which unlike mPCIe slots has no existing alternate to swap in. We're thinking that a Broadcom version will come along soon, but for now the Realtek ethernet is the only method of networking. This device has HDMI or eDP video outputs. Dual screens works. Note on BIOS setting DVMT Pre-Allocated (Fixed) Graphics memory size. Works fine when using 64MB, 192MB, 320MB, 384MB, 448MB, 2016MB. Default used by Gigabyte is 128MB, and that doesn't work- white/black flashing screen. The other choices: 192MB, 256MB, 512MB, 1024MB give varying degrees of garbled screen. 32MB gives kernel panic on BDWGraphicsFramebuffer kext.